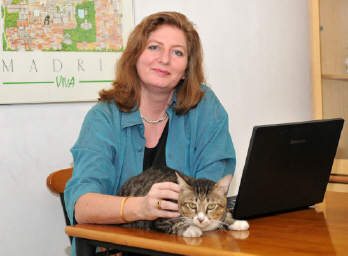 Normanda Whyte writes regular columns for the Malaysian national daily, The Star, the Singapore national daily, The Straits Times, as well as features for numerous magazines including Women’s Weekly and Cleo. Her work is syndicated globally, and her blog has a regular following. Blackmail Bride is her eleventh published book, her first ebook venture. She has high hopes of its success, and is already working on a follow-up story Red Habiscus, a romance story set in Malaysia, and featuring bomohs, Malaysian witchdoctors, and murder. RATS: Blackmail Bride is your 12th book (correct? ), and your first ebook. Who published your earlier books, and who published Blackmail Bride? Whyte: 11th book, and first e-book. 14 years ago I wrote some How To computer books for managers that were published by Addison-Wesley Longmans (International) and Pelanduk (a Malaysian company). In the last year I’ve published Katz Tales with Marshall Cavendish and Logomania with MPH, a Malaysian publisher and bookshop chain. Both are compendiums of 2 of my newspaper columns. Katz Tales is about my cats, Au, Scoop, and Target. Logomania traces the history of common expressions, and gives pointers on how to use them in everyday conversation. 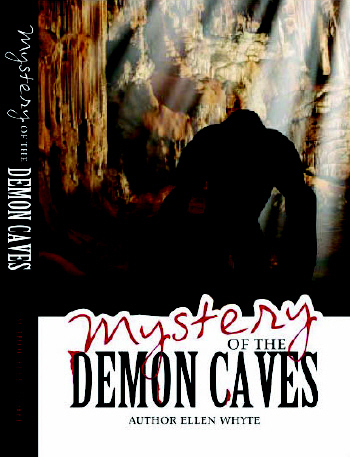 This year I’m publishing a second Logomania book with MPH as well as Mystery of the Demon Caves, a story for teens, with Horizon, a Singapore publisher. 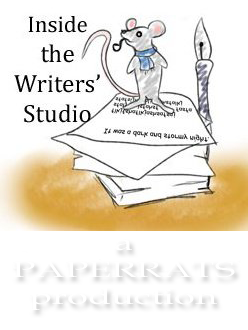 RATS: Have you noticed a difference in sales since deciding to sell your work in an electronic format? Whyte: Not yet because it’s only been a few weeks. However, I have high hopes! RATS: How long has it been available as an ebook, and is it also available in paperback? Whyte: Blackmail Bride has been on sale since early December 2010. It is not available in paperback. RATS: Ebook sales are staggeringly high in the US. How is the ebook market in Malaysia? Do many people there own e-reading devices? Whyte: eBooks are not taking off here yet, mostly because readers are not generally available, and are very expensive. Also, we can’t buy ebooks from Amazon or Barnes & Noble even if we do get friends to send us a Kindle or Nook. Those companies only sell ebooks to a few countries, and Malaysia is not included. 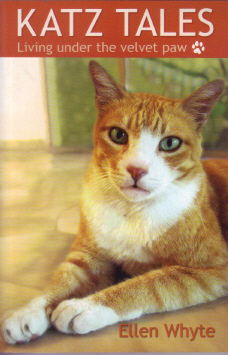 10% of the sales from Blackmail Bride go to Friends Furry Farm, a no kill animal shelter in Malaysia. Ink-Slinger, the company publishing Blackmail Bride, sells worldwide and in every format from Kindle to Apple iPad and iPhone, Barnes & Noble Nook and Sony eReader and PDF. I’m hoping that this flexibility will appeal to everyone, from Americans to Zimbabweans. Whyte: I wrote my first romance to amuse a friend, Christine, who was dying from uterine cancer. I wrote her half a chapter a day, just to make her laugh at what we called My Art. I’ve moved house about 10 times since then and lost that story. However, 15 years later I thought it would be fun to try again. Now I’m hooked! I just love writing romance. It’s so soothing – like eating chocolates in the bath. My favourite romance writers are Georgette Heyer, Daphne Du Maurier, Mary Stewart and Mary Renault. I know I’m not in their league but I hope to entertain my readers. This is from one of Lucy’s conversation with Terror, the Labrador. I like the way she talks to him because she is so natural and unconstrained. I find talking to pets wonderfully therapeutic too, so in this way Lucy is very much like me. Whyte: It is upbeat and it has a happy ending! Whyte: All the characters are entirely fictional. When I started Blackmail Bride I wanted a heroine who gets herself out of a typical domestic abuse situation. As soon as I got the first words down, Lucy and the other characters just came to life and ran away with the plot. Really, the story wrote itself. Whyte: Her former husband, Malcolm. I won’t spoil the story for you, but all the events that pushed Lucy into this situation have happened in real life – to people I know! Not to me, so please don’t think this is in any way autobiographical. RATS: What’s your favorite of Lucy’s traits? Whyte: Her resilience. Lucy keeps her inner strength no matter what happens to her. RATS: What’s been the response to Blackmail Bride in Malaysia? As she said this really loudly in the local pub at Happy Hour, it got Blackmail Bride instant attention! RATS: Where is the story set? Whyte: Scotland. Although I changed the names, I visualised Loch Lomand, one of my favourite places, as I wrote it. different/unique culture/point of view, or is it more universal? Whyte: Lucy’s situation is a classic case of spousal abuse. Her experience is pretty much the same as it might be in Spain or Malaysia so I’d say it’s universal. BUT: the next book, Black Magic and Mayhem at the Red Hibiscus is set in Sarawak, Borneo so that one will have the unique cultural input! Normanda Whyte was born in Amsterdam, The Netherlands. Since then she’s lived in Scotland, Spain, Indonesia and Malaysia. She read psychology at Stirling University but that hasn’t helped her gain the upper hand in her dealings with her cat companions, Au and Target. 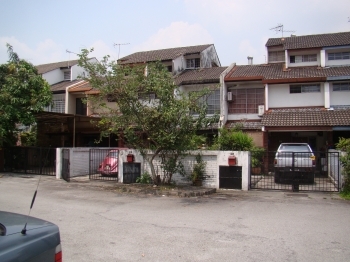 She began writing fulltime about 14 years ago when her husband got a job in Sarawak. She considers herself extremely lucky to be able to make a career out of a hobby. Blackmail Bride is her 11th book and her first romance. Hey thanks! I really appreciate this!